Convert your Motorcycle's points distributor to an electronic breakerless distributor with Mallory's E-Spark breakerless conversion kit. 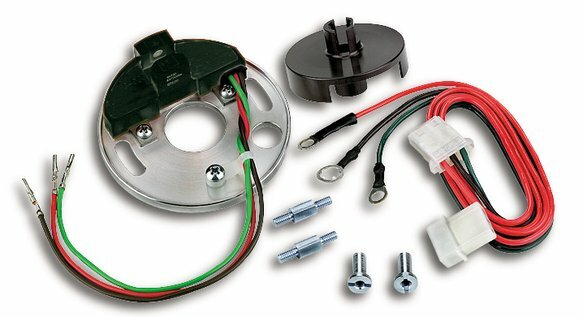 This conversion kit is easily installed with a 3-wire connection and allows for easier starting and more accurate timing. The conversion trigger style is optical with a mechanical advance type.